Commentary on Vayetzei from Garden of the Dark Moon Jubilee - Magical Stones of Quantum Particle-Wave Complementary. Othala is the sacred enclosure. In it is embodied the central concept of Midhgardhr and the whole idea of "in-sidedness" and "outsidedness" so prominent in Germanic (and Indo-European) thought. The O-rune describes the ring-wall, the symbol of the enclosed land separated from all that is around it and thereby made sacred (ON vé). It is a sign of the site set apart for sacred purposes, the fane or hall. For the most part the othala force acts as a selective barrier. It prevents forces detrimental to the health of the interior from entering, but it actually conducts beneficial energies into its interior. Amazing! that I should draw this particular rune for the first time in my bedtime ritual immediately following today's "temple"-related entries, namely: Chomah, A Vision of the Temple in the Night, Working Magic, Communion and Living Magically, The Science of Everyday Matters. One day while reading a papyrus book in the library, he came upon a curious account. Far to the south, he read, at the frontier outpost of Syene, something notable could be seen on the longest day of the year. On June twenty-first, the shadows of a temple column or a vertical stick would grow shorter as noon approached. And, as the hours crept towards midday, the sun's rays would slither down the sides of a deep well which on other days would remain in shadow. And then, precisely at noon, columns [and sticks] would cast no shadows and the sun would shine directly down into the water of the well. At that moment, the sun was exactly overhead. It was an observation that someone else might easily have ignored - on sticks, shadows, reflections in wells, the position of the sun - simple everyday matters - of what possible importance might they be? But Eratosthenes was a scientist, and his contemplation of these homely matters changed the world - in a way, made the world - because Eratosthenes had the presence of mind to experiment, to ask whether, back here near Alexandria, a stick cast a shadow near noon on June the twenty-first. And it turns out, sticks do. Simple everyday matters - a scientist has the presence of mind to ask, "of what possible importance might they be?" Live magically, and ask with the wonder of a scientist, of what possible importance might the everyday observations of your life be. A friend of mine recently brought to my attention the fact that many popular books on witchcraft and magic just rehash the same information (data) and contain nothing new. Yes, as she wrote, this is true - it is indeed sometimes very challenging to find a book containing new data to think about. Even the ancient texts of our ancestors, including the Bible, may rehash old data. For example, the Hebrew name of the book of Deuteronomy, namely Mishneh Torah, pertains to a retelling of the traditional legends. Importantly, we must remember that books are not only useful for providing data, but also are useful for providing unique contacts with the spirits of the authors through whom even old data may acquire new and profound meaning. The magic isn't just in the data. Magic may be transmitted through the communion of souls. Equal to the challenge of finding a book containing new data, is the challenge of finding communion and new meaning through old data - be it found in a stone tablet, a papyrus scroll, book, a video or on the internet. There are many hypotheses in science that are wrong. That's perfectly all right; it's the aperture to finding out what's right. Science is a self-correcting process. To be accepted, new ideas must survive the most rigorous standards of evidence and scrutiny. The worst aspect of the Velikovsky affair is not that many of his ideas were wrong or silly or in gross contradiction to the facts; rather, the worst aspect is that some scientists attempted to suppress Velikovsky's ideas. The suppression of uncomfortable ideas may be common in religion or in politics, but it is not the path to knowledge and there is no place for it in the endeavor of science. We do not know beforehand where fundamental insights will arise from about our mysterious and lovely solar system, and the history of our study of the solar system shows clearly that accepted and conventional ideas are often wrong and that fundamental insights can arise from the most unexpected sources. Human history can be viewed as a slowly dawning awareness that we are members of a larger group. Initially our loyalties were to ourselves and our immediate family, next, to bands of wandering hunter-gatherers, then to tribes, small settlements, city-states, nations. We have broadened the circle of those we love. We have now organized what are modestly described as super-powers, which include groups of people from divergent ethnic and cultural backgrounds working in some sense together — surely a humanizing and character building experience. If we are to survive, our loyalties must be broadened further, to include the whole human community, the entire planet Earth. Books permit us to voyage through time, to tap the wisdom of our ancestors. The library connects us with the insights and knowledge, painfully extracted from Nature, of the greatest minds that ever were, with the best teachers, drawn from the entire planet and from all of our history, to instruct us without tiring, and to inspire us to make our own contribution to the collective knowledge of the human species. Imagine how different our world would be if those discoveries had been explained and used for the benefit of everyone, if the humane perspective of Eratosthenes had been widely adopted and applied. But this was not to be. Alexandria was the greatest city the Western world had ever seen. People from all nations came here to live to trade to learn, on a given day these harbours were thronged with merchants and scholars and tourists, it's probably here that the word Cosmopolitan realised its true meaning of a citizen not just of a nation but of the Cosmos, to be a citizen of the Cosmos. Commentary on Toldot from Garden of the Dark Moon Jubilee - Chomah, A Vision Of The Temple In The Night. The fourth Atlantean root race was preceded by the so-called Lemurian. During its development, events of the very greatest importance occurred with respect to the earth and to men. Here, however, something will first be said of the character of this root race after these these events, and only then will the latter be discussed. By and large, memory was not yet developed among this race. While men could have ideas of things and events, these ideas did not remain in memory ... their ideas had a quite different strength from those of later men. Through this strength they acted upon their environment ... Other men, animals, plants, and even lifeless objects could feel this action and could be influenced by purely ideas. Thus the Lemurian could communicate with his fellow-men without needing a language. This communication consisted in a kind of "thought-reading." The Lemurian derived the strength of his ideas directly from the objects which surrounded him. It flowed to him from the energy of the growth of plants, from the life force of animals. In this manner he understood plants and animals in their inner action and life. He even understood the physical and chemical forces of lifeless objects in the same way. When he built something he did not first have to calculate the load-limit of a tree trunk, the weight of a stone; he could see how much the tree trunk could bear, where the stone in view of its weight would fit, where it would not. Thus the Lemurian built without engineering knowledge on the basis of his faculty of imagination which acted with the sureness of a kind of instinct. Moreover, to great extent, he had power over his own body. When it was necessary, he could increase the strength of his arm by a simple effort of the will. For example, he could lift enormous loads by merely using his will. If later the Atlantean was helped by his control of the life force, the Lemurian was helped by his mastery of the will. He was - the expression should not be misinterpreted - a born magician in all fields of lower human activities. Importantly, this excerpt describes a kind of consciousness where the ideas which exist in it are not bound in memory, yet nevertheless, act powerfully upon the environment. This kind of consciousness is called Lemurian. The kind of consciousness where ideas are brought into and bound in memory is called Atlantean. i could remember thinking a doing things, but my senses did retain not perceptions, although a smell would remain within me, marking their actuality. i was unable to fully form and hold onto the ideas that existed in my mind. Generating ideas with the strength to influence reality, the mastery of will - all of it is part of my birthright. 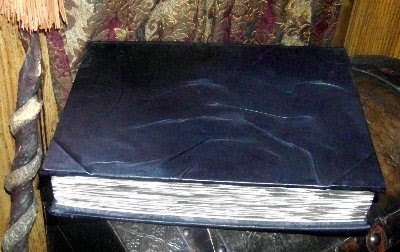 In their [the Atlanteans] highly developed memory they possessed something which gave a special character to everything they did ... Memory is closer to the deeper natural basis of man than reason, and in connection with it other powers were developed which were still closer to those of subordinate natural beings than are contemporary human powers. Thus the Atlanteans could control what one calls the life force. As today one extracts the energy of heat from coal and transforms it into motive power for our means of locomotion, the Atlanteans knew how to put the germinal energy of organisms into the service of their technology. One can form an idea of this from the following ... think of a kernel of seed-grain. In this an energy lies dormant. This energy causes the stalk to sprout from the kernel. Nature can awaken this energy that reposes in the seed. Modern man cannot do it at will. He must bury the seed in the ground and leave the awakening to the forces of nature. The Atlantean could do something else. He knew how one could change the energy of a pile of grain into technical power, just as modern man can change the heat energy of a pile of coal into such power. Plants were cultivated in the Atlantean period not merely for use as foodstuffs but also in order to make the energies dormant in them available for commerce and industry. Just as we have mechanisms for transforming the energy dormant in coal into energy of motion for our locomotives, so the Atlanteans had mechanisms in which they - so to speak - burned plant seeds, and which the life force was transformed into technically utilizable power. The vehicles of the Atlanteans, which floated a short distance above the ground, were moved this way. "The vehicles of the Atlanteans, which floated a short distance above the ground, were moved this way." Incredible. I dreamt of an Atlantean vehicle and I transmitted the mechanism of its maneuvering in Secret of the Peaceful Warrior. Preceding revelation of my Lemurian connection, came a hidden link to this revelation of my Atlantean connection. Both revelations are connected to the meaning and power hidden in the chukim of Torah. The chukim encode the laws of memory and the mechanisms through which the energy of the life force is transformed and utilized. It is believed that these Lemurian Seed Crystals were left by the Lemurians, an ancient race that seeded our planet eons ago; who departed from earth when conditions became too inhospitable and life could no longer be sustained. The legend goes that the vast majority of Lemurians left planet earth for other star systems while others elected to remain and continue to dwell in other dimensions of our "inner" earth's system, acting as guardians and protectors for the seed of our human race. It is these "inner" earth dwellers who are thought to be responsible for the discovery of these Lemurian Seed Crystals at this time. It is also thought that the Lemurian dwellers of "inner" earth continue to maintain a clear and conscious telepathic connection with their fellow Lemurians who traveled eons ago to other star systems through the crystals. The digit sum of 445 = 13, where 13 is the gematria of the kabbalistic Echad of Malchut in the Ein Sof. 13 further reduces to a digit sum of 4, where there are 4 letters of the tetragrammaton, the Explicit Divine Name. Commentary on Chayyei Sarah from Garden of the Dark Moon Jubilee - Kindred And The Mesorah Of The Ancestors. 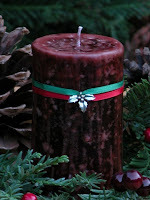 Every year for the past six years of her eight years of employment with Bath & Body Works, Wiccan Gina Uberti would take her vacation the week of Samhain and head for holiday celebrations in Salem, Massachusetts - a vacation already approved for nearly a year prior to the incident where she was fired for being Wiccan. In 2008, a new manager fired her, allegedly stating that she "will be damned if I have a devil-worshipper on my team." In follow-up to Mystery of the White Bull and The Constant of Kinna Ha-Katuv, I note that I faced the tornadic waves of ocean water. The man I also faced opened his eyes while standing in the pouring rain. Interestingly, these two facts of trivia also connect to the mysteries of Lost and to my Torah commentary for last week, The Demon Dance. The four-toed statue under which Jacob finds protection through time is the Mistress of the Innundation (particularly that at Khenu כנו), the horizon (the future), magic and mystical mountains, Taweret. Guardian of the north, fierce Taweret is an awesome protectress, both in the world and out of it simultaneously. Even standing on one foot. Last evening watching Lost, I was introduced to The Constant. The constant functions as an anchor for time-travelling consciousness and prevents the progressive physical side effects (leading to death) of time travel. Interestingly, the episode of The Constant "follows (time-traveller) Desmond's 1996 consciousness in one continuous narrative between the two years." The year 1996 is the year I "returned to Torah." Also interestingly, in the episode, the time traveller's eyes are examined (just as eyes are relevant in Mystery of the White Bull). The freighter in the episode on which the eyes are examined is named Kahana. Not unimportantly, yesterday I also added to my Twitter a person referencing Meir Kahane and a JIDL twitter site - both had added my Twitter site to their own. "JDL" is known from my past to have alot of "Kahanist" members, at least it used to. In my entry The Mystery of Urcanaan (סתר ורכנען), I made a scribal change to the Torah text, transforming a curse into a blessing. Such scribal emendations are known, not only as tikkunei sofrim (corrections to the text), they are also known in the halakhic midrashim as kinna ha-katuv (כנה הכתוב), the constant original text. The words Urcanaan and kinna are derived from a common sha'ar (two-letter gate of nun), that is - the letters kaf (כ, power to actualize potential) and nun (נ, Divine Feminine), where the letter hei (ה, actualization through thought, communication and action) of kinna (כנה) becomes the Hebrew letters ayin (eye, ע) and nun (fish, נ) to make the central word of Urcanaan (ורכנען), namely Canaan (כנען), the ancient pagan people. Torah commentary on Vayera from Garden of the Dark Moon Jubilee - Mystery of the White Bull. A perfect Samhain Torah commentary for Lech Lecha from Garden of the Dark Moon Jubilee - The Demon Dance. Not found in the first 1,000,000,000 digits of pi. Interestingly, 4815162343 can be found at the 176,025,488th position of pi, and 4815162341 begins at the 734,468,718th position. An interesting little piece of connected trivia (or not) ... a day or two before starting to watch the first episode of Lost, I dreamt a dream with an apple pie in it. The psychic connections I seem to have to this series, to me at least, are interesting. Yesterday, early shabbat afternoon, I wrote my Torah commentary on parashat Noach, The Mystery of Urcanaan. Immediately following that, I wrote Samhain Mitzvah Runes, designating runes for this mystery through which the darkness of a curse is transformed into the light of illumination. Bear with me for the rest of the story. Just last weekend, my brother and his wife turned me on to a television series I had never seen before called Lost. Last weekend and this past week, I started watching episodes of the past five seasons to learn the story and prepare for transmission of the final and sixth season beginning May 2010. After the first episode, I was hooked. This series is an amazing mystical mythology. I love it. The mystical connections in it are real. Thursday night, I dreamt of an ancient ever-changing mystical mechanical structure hidden in the ground from which I emerged through a normally impenetrable door in the ground penetrable through a secret code only known by a few. The next day, I didn't make the connection of this dream to the hatch found in Lost, but after Shabbat's precognizant blog postings and the episodes I watched Saturday evening right after making the postings, I saw the connection. Motzei shabbat I watched the episode called Numbers - the numbers (4 8 15 16 23 42) in the episode are believed to be cursed, just like Canaan was believed to be cursed (in the Torah portion of my commentary) until I transformed that 'irrevocable' curse into a manifest blessing through the stones of transformation (וַיֹּאמֶר, אָר וּרכְּנָעַן) in my first precognizant blog post, The Mystery of Urcanaan. The 'cursed numbers' are revealed in Numbers to be written on the side of the mechanical structure hidden in the ground (like in my dream Thursday night), excavated by a few of the lost survivors. Motzei shabbat, after watching the episode Numbers, I watched the episode Deus Ex Machina. This episode ended with "Locke disappearing into the jungle to return to the hatch. Pounding on the door and screaming in anguish atop the hatch, Locke laments what has happened. Suddenly the hatch window is illuminated, sending a shaft of light into the sky," - just like the uruz rune was illuminated, sending a shaft of light into the world in my second precognizant blog post, Samhain Mitzvah Runes! Totally wyrd. The dream of the hidden mechanical structure and the blog postings occurred before I watched Numbers and Deus Ex Machina. I emerged from 'the hatch' in my dream. I haven't yet seen the Lost episode where the hatch is opened, but in researching it, I see that through the hatch is found The Swan. In Celtic tradition, swans possess the healing powers of the sun and water. Swan also represents radiant divinity and feminine royalty. At the end of the dream, I and some of the members of my team were inside a deep cave system whose entrance was closed to the general population of the area by thick metal-rock many-layered door with a secret magical lock and key combination. I knew the key-lock combination and where it was located in a hidden formation of the rock's walls. I had taken a few of us inside. Our diverse group was different than the rest of the general populace in the area - like we were ancient travelers and outcasts who had come together as a group, settled and integrated among the locals, but who had each (clan or family or individual) still retained its unique distinction in some way. We were all unique from one another, but had been brought together by some unique and mutually recognized commonality as well. Once inside the cave system, a whole new secret community was revealed. One family among our group was Arabic. They had a light-haired family dog with them that the locals found annoying and wanted to get rid of, so their dog was brought inside the cave for protection as well. Hunters from the general population, who had a clue that we were somehow different, too different for them to tolerate, were trying breach our cave. I began preparing my part of our defense. I began melting quartz crystals with a special high-powered torch I had in my hand. The quartz was melting like clear-white candle wax into my collection pan. Fused quartz is manufactured by melting naturally occurring quartz crystals of high purity at approximately 2000°C, using either an electrically heated furnace (electrically fused) or a gas/oxygen-fuelled furnace (flame fused). Fused quartz is normally transparent. Fused quartz can also form naturally. The naturally occurring form is usually referred to as Metaquartzite and is formed under metamorphic conditions. An increase in heat causes the crystals within the quartz to become fused together. Along with the association of quartz crystal as the 'envelope' through which the long-life high brightness of halogen lamps is made, are its associations with metamorphic conditions, a low extinction rate, high thermal shock resistance, resistance to cracking under conditions of rapid and large thermal change, sheathing electric elements, fiber-optic communications, information storage and transmission, energy amplification and focus, and as a substrate for projection masks for photolithography. Quartz also has the ability to split light into a spectrum. 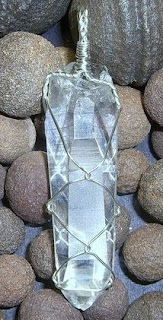 Through its use as an oscillator or resonator, quartz crystal is clearly associated with Hod (the reverberating sefirah as named by my Jewish ancestors which gives energy form) and sekhel shalem (perfect whole consciousness, original arrangement, sustained growth, balanced knowledge and mind, a magical-mystical adept, a kabbalist). Grian cloch is the Irish term my Irish-Celtic ancestors gave to quartz and means 'stone of the sun'. Meta-language and language wholistically as one is key to the mystery of form given by Hod. In my experience, given to me by my Germanic ancestors, uruz is now known as the rune of the sun. Given to me in the shamanic tradition of my Native American ancestors, quartz crystal is now my shaman stone of the sun. The mitzvah runes to be inscribed (facing the letters left to right) on my Samhain ritual candle spell out the transformative words of the phrase shine Urcanaan (אר ורכנען). Commentary on Noach from Garden of the Dark Moon Jubilee - The Mystery Of Urcanaan. In follow-up to Magical Disaster At The Sweat Lodge, last night I dreamt. There were three major groups of nations present at the gathering of peace negotiations. One group was represented by a Muslim leader and another was represented by President Obama. I was observing. The outcome of the global peace negotiations would be decided by a series of tests each leader of nations would undergo. The leaders who survived all the grueling tests would be judged fit to lead the nations to peace. The final two tests involved successfully navigating descent down a tall tower whose top reached high into the skies. Only those chosen by The Peaceful Warrior could and would survive. The first of the two tests involved drop-flying a small aircraft nose first straight down the skyscraping tower's side and then immediately, hairbreadths before smashing into the ground, turning the aircraft at a right precision angle parallel to the ground and flying The Craft parallel to the land a mere hairbreadth above the surface of the land. Making the proper angle at the proper moment was impossible unless one was guided by wyrd destiny to do so. Only the soul of the peaceful warrior could successfully manage the maneuver. I transmitted the maneuver to President Obama and he flew the course precisely. The second of the two tests involved climbing down the outside surface of the tower. The only tool one could use was one's body. It was impossible to succeed at this test unless one knew the secret of doing it. You see, even the very breath you breathe as you climb down will push you off the tower and to your death if you don't know the secret. I knew the secret and I transmitted it to President Obama. There are two magical elements which come together to complete the whole secret. Interpret them correctly, and you will succeed. First, there is an invisible outward-pushing notch in the tower which no one can see, not even you. It runs down the length of the left side of the tower (from the left side of the one who faces it as it is faced). You must make a complementary inward-pulling notch running down the left side of the front of your body with which you can 'lock' your body to the structure of the tower as you make your descent. I transmitted to President Obama how to craft the proper notch into the form of his body to fit the notch in the tower precisely. President Obama cut the notch precisely. Second, there is a special breathing technique unique to the successful completion of this test. Breathing any other way, any other way at all, will create enough force with descent to push every climber, body locked or unlocked, off the tower and to his or her death. I demonstrated the unique breathing technique to President Obama. He practiced breathing and then, began breathing uniquely. Nations, President Obama's wife and family, and a blonde-haired woman gathered in the middle of Main Street (busy with traffic) in Danville, IL, in the heartland of this land, opposite the Towne Centre to watch his warrior's descent from the tower of truth. The blonde-haired woman was greeted by President Obama's wife - they shook hands and prepared to watch the descent. The unknown blonde-haired woman had transmitted to him the ways to survive this test. The Peaceful Warrior suddenly appeared among us. The Peaceful Warrior was a ritually dressed Native American shaman who had passed over from the Otherworld to attend, watch and bless President Obama's warrior's ordeal. He had been the one who had shared the Secret of the Peaceful Warrior all along with me specifically to teach President Obama. President Obama descended the tower of test successfully, becoming through survival of the warrior's trial, a peaceful leader of many nations. After the ordeal succesfully completed, the wife and family of President Obama, the blonde-haired woman, the Native American Peaceful Warrior, and some national security people got into a car. Driving down the road, thanks was given that the blonde-haired woman had been found worthy to transmit the Secret of the Peaceful Warrior to President Obama, and thanks was given that President Obama had been found worthy to receive it. After thanks was given, it was time for The Peaceful Warrior shaman to return to the Otherworld. I laid my arm touching upon his back, giving thanks for his teaching, as he flew out the window of the car and returned to the Otherworld. The dream scene changed. There was a group of men who had been watching the whole ordeal. 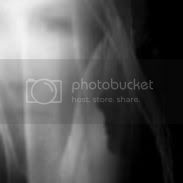 The blonde-haired woman was a member among their group of equals. The group was like a cabal and coven. Though unusual, the woman was part of 'the gang of guys' because, as one of the guys remarked to the reporter reporting on it, "she's an awesome shiksa!" and they all affectionately laughed and nodded in agreement. Like a cabal and a coven, this gang of guys and a woman was a magical learning group, like brothers and a sister. "Shiksa!?" I turned to face them exclaiming, swatting my hand at each one of them.